If you are a constant user of instagram, then you’ll realize that not enough people care about IGTV that was launched last year. 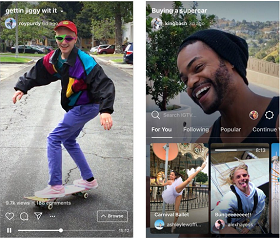 I don’t open it, no time to check useless videos without adding values; Instagram has realized it and now they want to make it mandatory on your timeline starting from Thursday, February 14 2019, users will now see IGTV videos from the people they follow appear directly on their main timeline. random celebrities the way you currently do elsewhere in the app. which makes the purpose defeated. Now that Instagram want to make it mandatory for users to watch IGTV, I feel no one will still click it. Maybe they should just scrap it completely and let everyone rest.